Rilyn may look like her daddy but she has my personality! 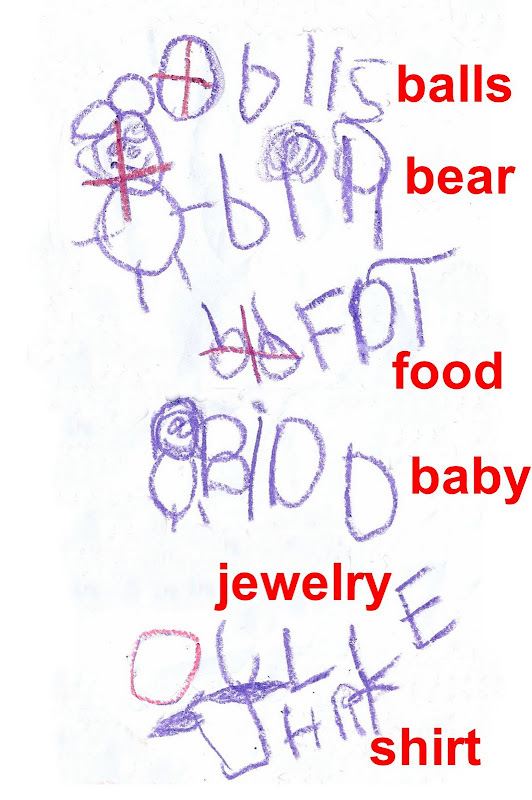 Yesterday, after she had finished cleaning the playroom (one of her chores), James found this list. She told us matter of factly that she had to make a list of all the toys she had to clean up first. I love that she even started to ‘x’ out the toys as she had cleaned them up. A daughter after my own heart! It is so fun to watch Rilyn as she is an emerging reader and writer. As a former kindergarten teacher, this is what I loved to teach! That is so cute! I love the “pictographs” next to the words, too.